Cognitive control enables humans to keep focused on relevant information and to reduce the influence of distracting information. We investigate how affective states influence the efficiency of cognitive control in paradigms such as the Stroop task. In particular, we are interested in the intricate link between aversive emotions and adaptations in cognitive control and how hedonic affective states counteract these adaptations. Using neuroimaging, we have studied a neural mechanism that involves interactions between the dorsal and rostral cingulate cortex (involved in conflict monitoring) and hedonic hotspots in the ventral striatum and ventral pallidum. More recently, we have identified a role of opioid modulation in cognitive control. We also study the affective regulation of cognitive control in psychiatric disorders, such as depression. A recent review of this line of research can be found here. The central question of this line of research is how cognitive demands regulate cognitive effort and self-control, and how this is linked to the mobilization of physical effort. We investigate the link between cognitive and physical effort in relation to differences in motivation, perceived difficulty, stress and self-control. This is studied both in the lab (using computer tasks and neuroimaging) and at the workplace (sustained attention in office work). Why do you buy more snack food when you enter a super market with an empty stomach? And why do addicts consume drugs even if they do not like the outcome? We seek to answer those questions by investigating goal-directed (value-driven), outcome-directed (ideomotor) and habitual mechanism that underlie our behavior. By combining lab tasks such as the pavlovian-to-instrumental transfer (PIT) paradigm with neuroimaging methods, we aim to reveal the underlying neural circuits responsible for habitual and goal-directed behavior. People who suffer from social anxiety disorder tend to express an excessive fear for social situations and the evaluation from others. As a result, patients often avoid interaction with others and keep to themselves. We investigate how differences in brain structure and function contribute to social anxiety disorder. Additionally, we aim to identify neural endophenotypes that underlie this disorder. We like to develop and share new tools to advance psychological science. 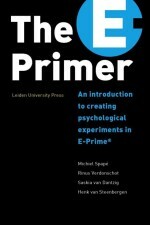 Please see our Resources page to learn more about tools we have shared with the scientific community, such as The E-Primer, the first introduction book to E-Prime. Among the most recent developments is our QRTEngine, which can be used to develop online reaction time experiments using the survey program Qualtrics.